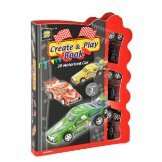 Princess themed kit, jam packed with activities. 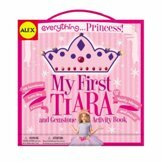 Create a Pink Tiara, make a magic wand, a princess fan, a picture frame, and so much more! 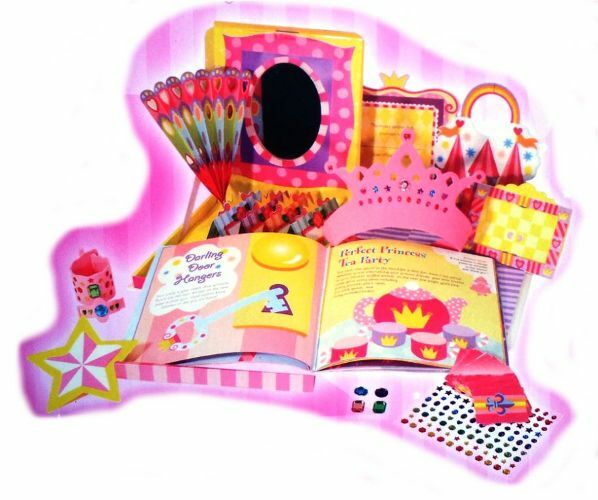 This lavish Princess-themed kit and activity book is perfect for having hours of magical fun and creating your very own play things. Inside you'll find a pretty pink tiara, die-cut and visible through the front cover, 120 gemstone stickers, 5 large jewels, an adjustable ring, cuff bracelet, and best of all... a special pop-up vanity mirror! So not only can girls decorate then wear their very own princess creations, they can also check out the new princess looks in their very own mylar mirror! 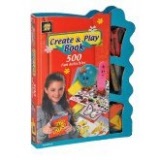 Inside the full-color book are fun princess-themed activities on 40 cardstock pages, including 8 punch-out pages to make a magic wand, a princess fan, a picture frame, and so much more!